We know that lots of kids Fighting HARD might not be able to get outside for an actual snowball fight, so we thought it would be fun to send some plush snowballs with funny faces to other kids to help them know they are not alone! While Fighting HARD one year on crutches, Allie couldn't get out and enjoy a good old-fashioned snowball fight with her sister and friends. So, Alexandra and Jonna decided to start their own! 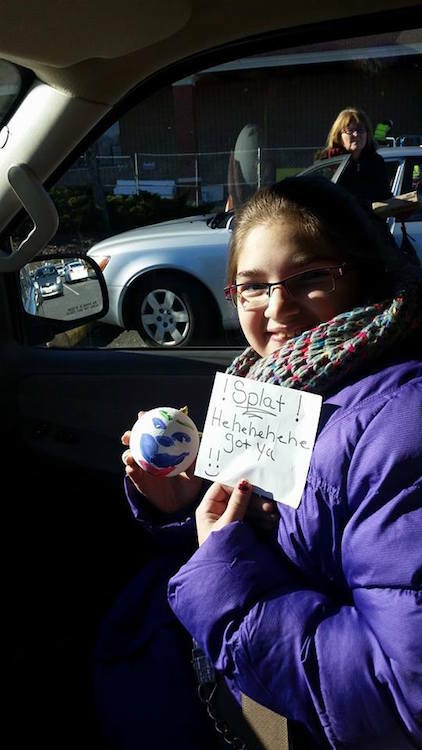 They decorated each and every snowball and sent them out to kids all around the country to help them to know that they are not alone! We even found out that after being "hit" with our snowball, kids were making their own and sending them out to friends that they knew who were Fighting HARD! This was a super fun project and we look forward to sending out lots more! Check out some of our photos in our gallery here!